This article is a review of the supplement Focus Formula. This product promotes healthy attention, enhanced focus in people of different ages, improved attention span, healthy energy levels, and improved information retention. It also supports memory functions, improves oxygen flow, maintains brain functions, and maintains the nervous system. You can learn more about the product as you proceed to the following sections. Ginkgo biloba– consists of lactones, ginkgolide, sitosterol, and bioflavins. It helps to maintain a healthy and functional circulatory system. It is effective especially in older persons with poor memory and those suffering from forgetfulness. Skullcap – contains minerals, tannins, flavonoids, volatile oil, and bitter. It plays a significant role in supporting natural brain equilibrium and maintaining the right mood. Recent studies have revealed that this ingredient can support relaxed mood, as well as calmness. German chamomile – supports a healthy nervous system and brain. It supports several functions of the brain such as a memory and mental clarity. It is also responsible for maintaining a balanced attitude. Recent researches have demonstrated that this ingredient supports blood flow and circulation. Green oats- contains minerals, alkaloids, flavonoids, saponins, steroidal compounds, vitamin B1, vitamin B2, vitamin D, and vitamin E.
Nettle extract- maintains blood sugar and circulatory system functions. Contains formic acid, histamine, acetylcholine, minerals, tannins, glucoquinones, vitamin A, vitamin B, and vitamin C.
Aspalathus linearis- consists of iron, magnesium, and zinc, which maintain the proper functioning of nerves. Users should dilute drops of the product in little amounts of juice or water and drink it. They can also drop it directly into their mouths using a dropper. Adults and children aged 15 and above should take 0.5ml three times per day after taking meals. Children aged between 10 and 14 should take 0.25ml three times per day after meals. Kids aged between 3 and 9 should take one drop based on age three times per day after meals. The manufacturer recommends that pregnant and breastfeeding woman should ask a physician before using the product. One bottle contains 59ml of the supplement and costs $38.95. Users can also purchase the product at a discounted price of $77.90 for two bottles and receive one free bottle. This price is relatively fair for a product made of numerous ingredients. Therefore, consumers are likely to be satisfied with the price. The manufacturer offers a one-year satisfaction guarantee for the product. Furthermore, there are numerous positive customer reviews. A satisfaction guarantee and positive reviews indicate that this product meets the expectations of users. 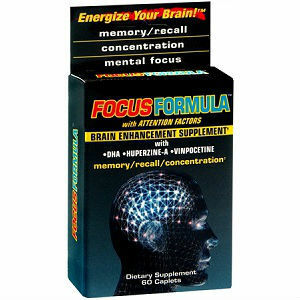 Focus Formula is the ultimate product for you if you wish to enhance and maintain a healthy focus, attention span, information retention, oxygen flow, nervous system functions, and brain functions. A strong formulation and positive reviews increase the confidence of users. However, users may wonder about the possible side effects. Furthermore, it may take a long time before some users experience the benefits. Henry Costa	reviewed Focus Formula	on June 14th	 and gave it a rating of 4.